Brigette Lacquette, a member of the Cote First Nation in Saskatchewan, once played for Yorkton Tribal Council at the Saskatchewan First Nations Winter Games. When the announcement of the women's Olympic hockey team roster was made in December, ripples of excitement rolled through Canada's Indigenous community. For the first time in Canada's Olympic history, there is a First Nation woman on the women's Olympic hockey team. "To represent Canada being the first First Nation is such an honour to me," said Brigette Lacquette, 25. She'll be playing defence for the Olympic team in Pyeongchang. This isn't the first time Lacquette has represented Canada at an international level. Lacquette played for Canada in the 2015 IIHF women's world championships. But the road travelled to get to where she is started when she was a young girl growing up in the rural community of Mallard, Man., about 300 km northwest of Winnipeg. "I started playing when I was five," said Lacquette. "My dad was my greatest motivator.... I spent a lot of time on the outdoor rink with my dad," she said. Lacquette's roots extend beyond the Saskatchewan-Manitoba border, east to the community of Cote First Nation just north of Yorkton, Sask. "My mom's from Cote and that's where she grew up," said Lacquette. "My grandparents and my aunts and uncles still live there so we'd always make a trip there." 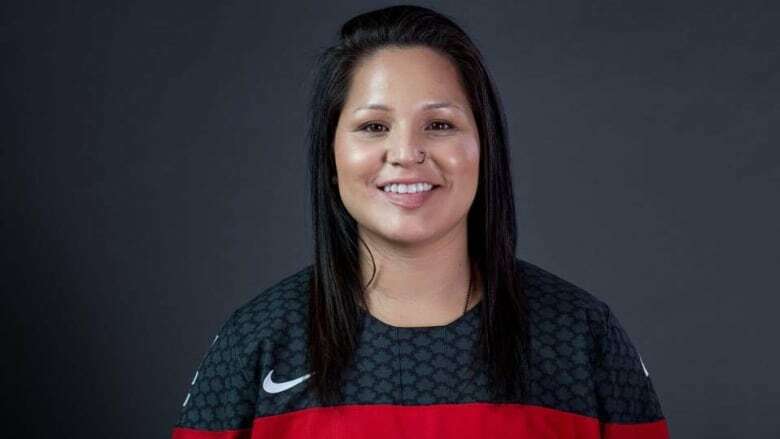 Cote First Nation has a strong history in Saskatchewan's First Nation's sports world and Lacquette along with her sister can say they were both a part of it. 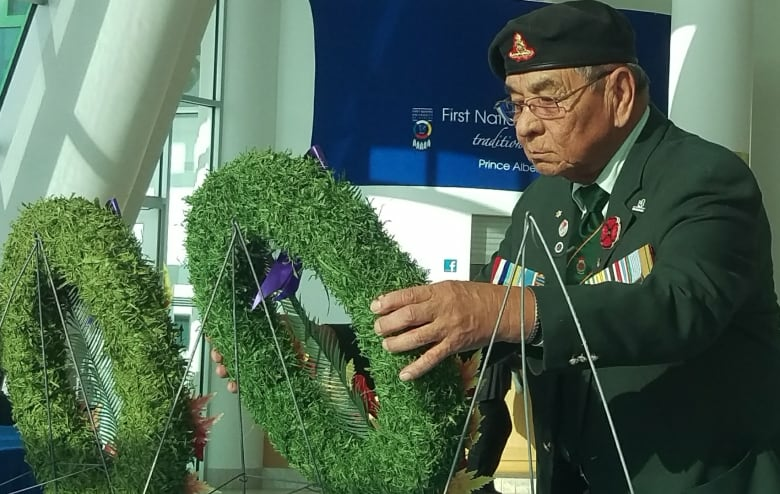 "One of my memories would be playing in the [Saskatchewan First Nations] Winter Games with the Yorkton Tribal Council," said Lacquette. "My late grandpa was there watching. It was always nice to have him support me. He would always make it out. I know that weekend my parents couldn't make it so my grandpa [did]. "Just having him there and watching the games, and spending time with him that was one of my memories." For many First Nations youth in the province, the Saskatchewan First Nations Winter and Summer Games are like the Olympics. It was 1974 when the Cote First Nation chief, Tony Cote, saw sports as a vehicle to success for Indigenous youth. "The reason why I started them is because I knew we had a lot of good athletes," said Elder Tony Cote from his home on Cote First Nation. "We've got to encourage them and help them and if they're good, that's where we should come in and sponsor them." The Saskatchewan First Nations Summer/Winter Games, now known as the Tony Cote First Nations Winter/Summer Games, are in their 44th year. Lacquette said she owes her success to a lot of people throughout her life and had this message to to share with the young Indigenous athletes who dream of making it: "Never give up. You can achieve anything you put your mind to and it doesn't matter where you come from, you can always achieve your dream."